Current update disclose that the Federal Government said it had identified over 800,000 companies, including some of its contractors, which had never paid any form of taxes. It is obtained that the Minister of Finance, Mrs. Kemi Adeosun, stated this in an article entitled: ‘All change, Nigeria is not an oil economy’. In the article, which was made available on Sunday by her Media Adviser, Mr. Oluyinka Akintunde, the minister stated that the government was currently carrying out an audit of the defaulting companies. 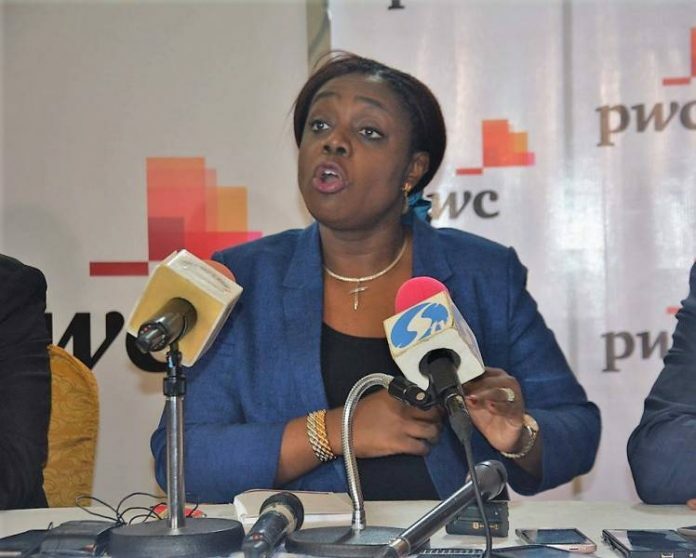 Adeosun, who did not provide the identities of the offending companies, however, noted that a situation where the entire country had only 14 million active taxpayers from an economically active base of 70 million was no longer acceptable. She explained that over 95 per cent of the 14 million active taxpayers were salary earners in the formal sector, adding that just 241 persons paid personal income taxes of N20m in 2016. To address this, she said that the Ministry of Finance had commenced a database project that combines data from the various arms of government, including bank records, property and company ownership, and Customs records. This, she noted, would assist the ministry to create accurate profiles of those liable to pay taxes. The minister also explained that the ministry had also placed one of the world’s premier private investigation agencies on retainership to trace overseas assets. She said, “The historical government apathy towards revenue mobilisation is one of the effects of the mistaken identity that saw Nigeria perceive itself as an oil economy. This administration is determined to correct this identity crisis and all its concomitant effects. She explained that revenue mobilisation was potentially the master key to unlocking Nigeria’s huge growth potential through funding of its ailing infrastructure such as roads, power and rail. Adeosun added that the current administration was changing Nigeria’s narrative of being an oil dependent economy to one that would be driven by tax revenue. She stated, “Taxing the high net-worth and Nigeria’s huge community of entrepreneurs constitutes a critical but yet attainable target. The statistics for corporate tax payment shows the debilitating effects of base erosion and profit-shifting as well as abuse of an overly generous tax incentive and duty waiver system.